Kristin Cavallari and Jenny McCarthy have something in common besides being linked to Chicago Bears football players -- neither of the TV stars believe in vaccinating their children. During a appearance on a Fox Business show, Cavallari revealed she's against vaccinations because of books and studies that show a link to autism. "There is a pediatric group called Homestead, or shoot, Homestead or Home First, now I'm pregnancy brain I gotta confuse them,but they've never vaccinated any of their children and they've never had one case of autism. 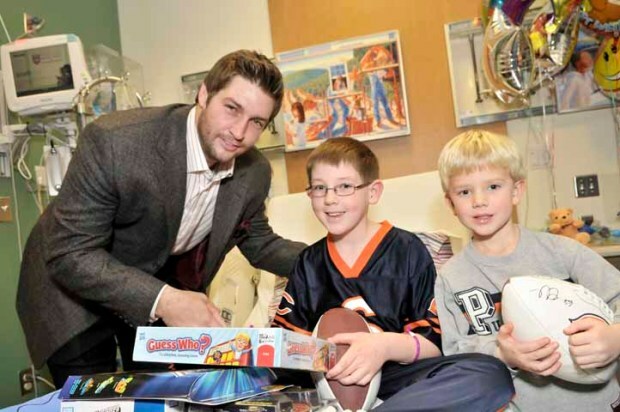 And now, one in 88 boys is autistic which is a really scary statistic," Cavallari said. The show host, former MTV VJ Kennedy, appeared to be flabbergasted by her stance on the issue and pointed out that she turned out OK even though she was vaccinated as a child. Cavallari responded that vaccinations have changed over the years, and have more mercury in them. McCarthy has been the most high-profile person against child vaccinations, and her claims that her son contracted autism through vaccinations have been controversial. Most respected medical organizations, including the Illinois Department of Public Health, the American Academy of Pediatrics, the Centers for Disease Control and Prevention, American Medical Association, American Academy of Family Physicians, the Canadian National Advisory Committee on Immunization and the Department of Health of the United Kingdom, say there is no link between vaccinations and autism, and recommend all children receive vaccinations. Cavallari and husband Jay Cutler have a son together, and she's currently pregnant with another boy. Cavallari also said on the show that she doesn't smoke pot, but doesn't have a problem with legalizing marijuana. Skip ahead to 2:30 in the video to hear the portion about vaccinations.